ANDOVER, MA--(Marketwired - June 24, 2015) - Morpho (Safran), through its subsidiary Morpho Detection, today announced a follow-up order from Air Canada Cargo for Itemiser® DX explosives trace detectors (ETD) with service contracts to screen air cargo. Following a successful deployment in 2014, Air Canada Cargo has purchased additional Itemiser DX units to replace legacy systems and maintain compliance with Transport Canada's air cargo screening regulations. The government department responsible for developing transportation security procedures, Transport Canada maintains a Qualified Equipment and Services List to help industry maintain compliance with Canada's air cargo security regulations. "Morpho is pleased Air Canada Cargo continues to recognize the detection and operational capabilities of Itemiser DX by placing their second order," said Karen Bomba, president and CEO, Morpho Detection. "The ability of Itemiser DX to detect and identify explosives in challenging environments, combined with Morpho's global service teams, gives air cargo companies an end-to-end solution to enhance screening capabilities and maintain compliance with evolving security mandates." "Itemiser DX has performed well in the field and as a result, Air Canada will deploy additional units to meet the growing needs of our cargo business," said Lise-Marie Turpin, vice president of cargo, Air Canada. "In addition to the detection ability of Itemiser DX, Morpho's service teams have helped us realize maximum uptime and reliability through a proactive field maintenance program." 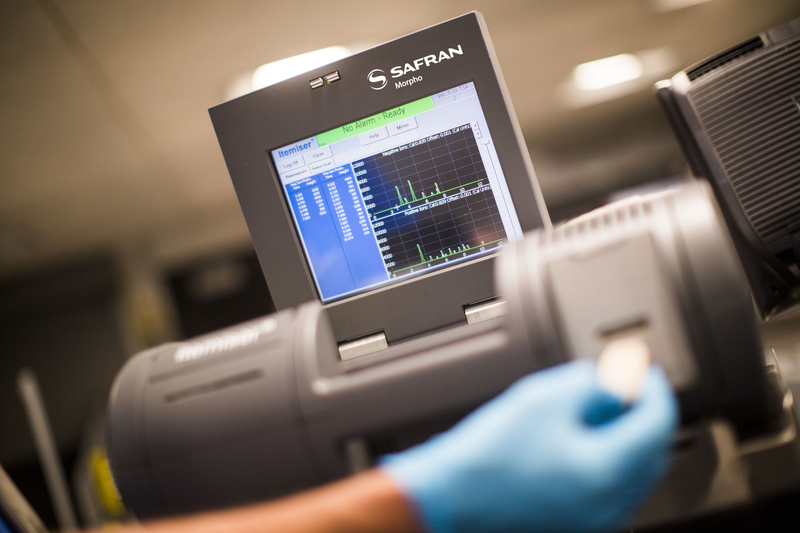 Morpho Detection, LLC, part of Morpho, Safran's (PAR: SAF) security business, is a leading supplier of explosives, narcotics and CBRNE threat detection systems to government, military, air and ground transportation, first responder, critical infrastructure and other high-risk organizations. Morpho Detection integrates computed tomography, trace (ITMS™), mass spectrometry, X-ray and X-ray Diffraction technologies into solutions that can make security activities more accurate, productive and efficient. Morpho Detection's solutions are deployed to help protect people and property the world over.